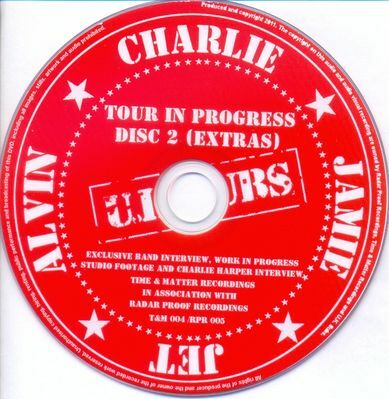 Above: "Tour In Progress" UK DVD release, 2011, front and back cover. Above: DVD discs 1 & 2. Above: Inside cover. Click to enlarge. Limited to 100 copies. Included postcard reproduction of gig poster. The website editors are delighted to announce that the total raised for charity on this release was £730-00. The monies will be sent to Jet's family in Japan asap to help them rebuild after the earthquake/tsunami disaster struck their country earlier this year. 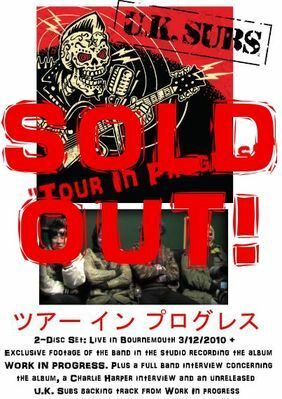 The Time & Matter website's double DVD 'Tour In Progress sold out in just 36 hours from the announcement of its release. 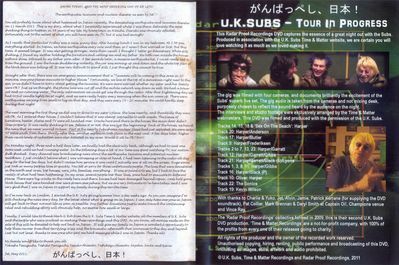 Limited to 100 hand numbered copies, and including a number of exclusives and first-time-evers, the website editors Mark & Rob would like to say a massive thanks to those of you who managed to be one of the very-lucky 100. Your support is greatly appreciated, and your purchase, not only on this, but on all previous T&M releases has made a difference! More exciting news on a brand new Time & Matter Recordings release is soon to be announced, so keep your eyes on this website. Once more, our next release will see ALL PROFITS going toward U.K. Subs guitarist Jet's family in Japan, to help them rebuild their home after the recent earthquake and tsunami disaster. 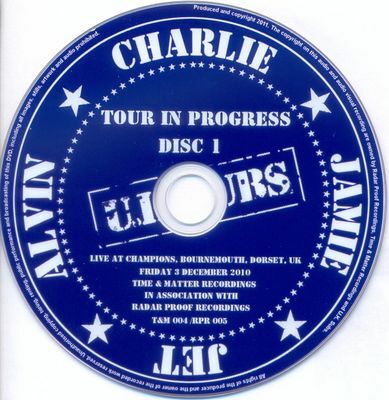 There are currently no plans for a re-pressing of the 'Tour In Progress' DVD. 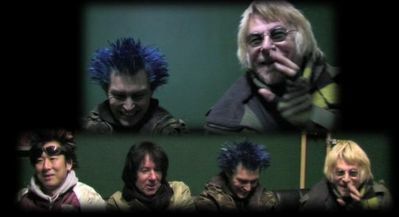 The full gig from the 3/12/2010 Bournemouth show, filmed by Radar Proof Recordings. talking about the new album Work In Progress. 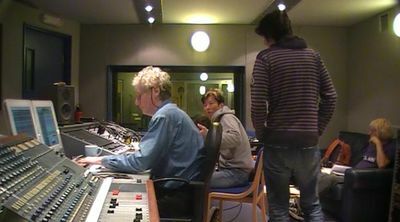 Footage of the band recording the album in the studio. 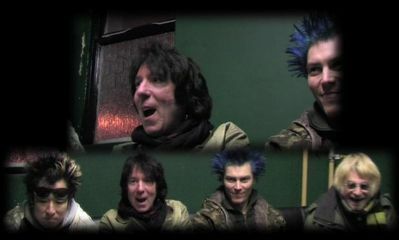 Interview with Charlie after the final day's recording of Work In Progress. More details to follow... Stay tuned folks!